Japanese cuisine is the food—ingredients, preparation and way of eating—of Japan. 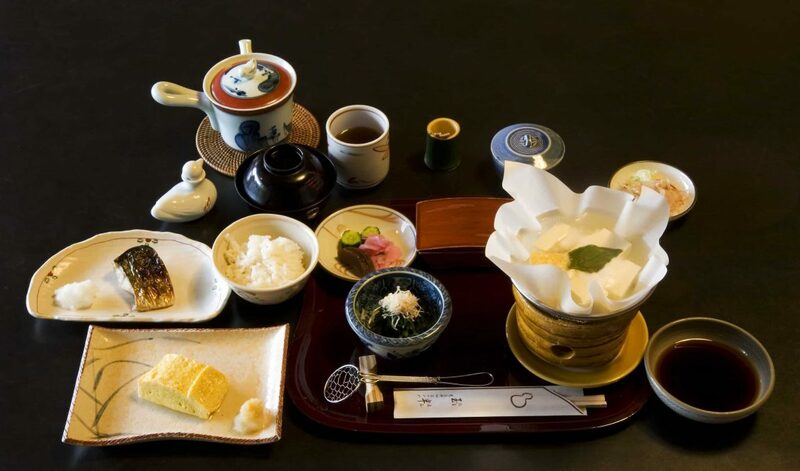 The traditional food of Japan is based on rice with miso soup and other dishes, each in its own utensil, with an emphasis on seasonal ingredients. The side dishes often consist of fish, pickled vegetables, and vegetables cooked in broth. Fish is common in the traditional cuisine. It is often grilled. Fish may be served raw as sashimi or in sushi.